Optional cross-platform play with PlayStation 4 players. Enabled by default. See Vertical sync (VSync) to disable. Save the file and set Engine.ini to read-only. 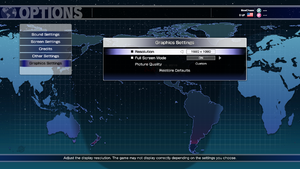 Under Profiles select Street Fighter V.
Click remove application from current profile and select streetfighterv.exe. 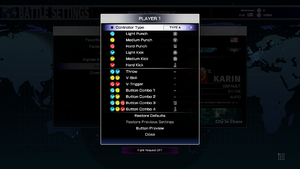 Main attack buttons are mapped to XInput buttons. 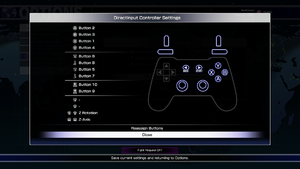 For DirectInput controllers, controls must be mapped to equivalent XInput functions for proper use. English or Japanese voices can be set individually for each character. 1v1 Matches in 8 player lobbies. 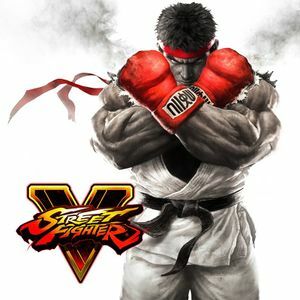 Loser switches with next player. 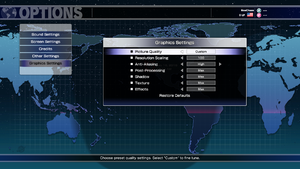 See Helix Mod: Street Fighter V.
↑ 1.0 1.1 File/folder structure within this directory reflects the path(s) listed for Windows and/or Steam game data (use Wine regedit to access Windows registry paths). Games with Steam Cloud support may store data in ~/.steam/steam/userdata/<user-id>/310950/ in addition to or instead of this directory. The app ID (310950) may differ in some cases. Treat backslashes as forward slashes. See the glossary page for details. This page was last edited on 11 April 2019, at 21:20.